Sorry it’s been so long since my last channeling. I’ve been working alot, I’m a graphic designer by trade, and I design print publications and websites. I built an art studio in my garage last fall at the loving suggestions of my council of angels, and finally started painting last weekend! This is the first time I have painted anything since high school, and I’m having a blast!!! The angels and my higher self, guides, and Pleiadian family have told me that I would be channeling divine energy into my paintings and embedding light codes into them, well let me tell you its true!!! I scanned one of my first four paintings, and was looking at it, and started to add some graphic enhancements on top of the scan of the painting, and it came to life!!! So I think this will be a new form of art for me, a sort of combo art where I’m painting and then adding graphics to the scanned image….cool! and fun!!! Above is my first piece of cool combo art. As I looked at it after creating it, I began to have an “OMMMMM” transcendental kind of experience. Maybe you will too!!! Greetings we are the Council of Angels, including Archangel Michael, Archangel Gabriel, and Archangel Raphael. So much is happening in your earthen world behind the scenes so to speak. All that was once hidden is coming to the surface, just as Gaia cleanses her surface in preparation for the Golden Age of Humanity upon Earth which has been planned by the Creator for eons of time. All is a manifestation of inner thought and all beings on earth are manifestations of the great Creator Source of Life and Source of All Energy and Love. As the higher dimensional energies that are now coalesced into mother Earth/Gaia’s body begin to enlighten, uplift, and accelerate the consciousness of humanity, all are beginning to wake up out of the lower third dimensional reality and beginning to move past the veil that has lifted between the 3rd, 4th and 5th dimensional realities, as all beings and planets in the multiverse are upshifting into a higher level….each component of the multiverse is being upgraded to another level, and you on most beautiful mother earth are part of this upgrade. The old world continues to crumble and fall away and as the consciousness of humanity rises so too does the new earthen reality rise from the ashes of the old, just as the phoenix rises from its own ashes. The new earth paradigm is manifesting, the new cities of light are being prepared and readied, and your higher selves are assisting you in your upfliftment, enlightenment, and awakening. As each being on earth begins to clear out the dross and old energy out of their lives, this is also happening on a collective basis for the collection of humanity as a whole upon the earth. Your individual task at this time is to clear out all the old energy out of your lives and realities so that you can clearly and joyfully move into this higher dimensional life that your higher self is assisting you with, and that we of the angelic realm are assisting you with, and many other beings and star families are also assisting you with, in a higher dimensional way. For example, the channel recently realized that she needed to clear out her entire basement (subconscious), her house (conscious mind), and body (3d manifestation of your higher self). After asking for our help, we assisted her in transcending time once again to see the love and light in a situation that has been particularly challenging, through the clearing out of the old. By clearing out all of the muck and mire from your lives, your homes, and your bodies, you will prepare yourself to freely move forward in this universal upgrade that is occurring for the All within the All. 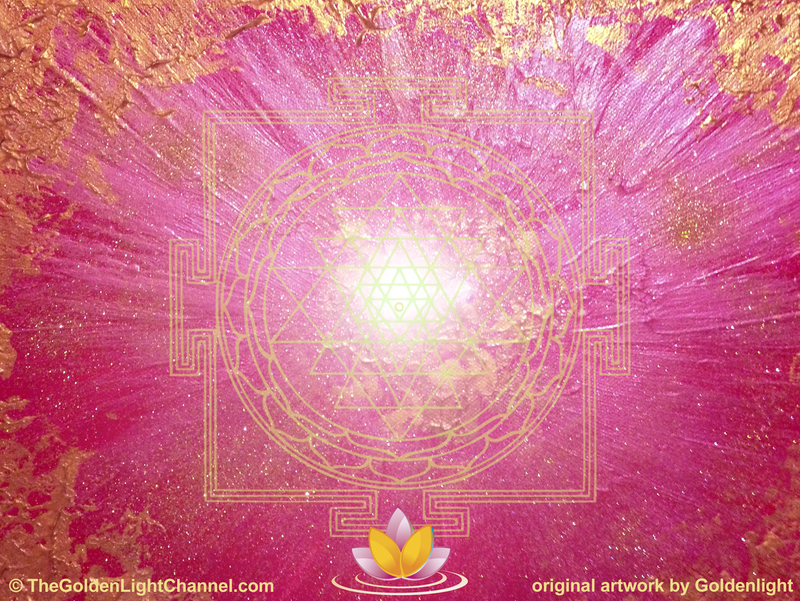 You may then find a clear space within and without for you to connect with these higher energies in a more beneficial way and to move forward in your evolutionary path towards a higher dimensional reality and move ever closer on your onward journey home to the Source of All That Is. May you be blessed in your journeys and in your clearings out of the old and all that no longer serves you, including all of your old 3d manifestations in your realities, so that you may continue to move forward joyously and harmoniously on your evolutionary path. Call upon us if you are in need of any assistance with these clearings and we will be there to assist you in every way possible. We are ever near to assist you always and in All Ways and we love you with a deep abiding everlasting love that is unconditional, steadfast and true. Sending you the softest of love and light on this day, We Are the Council of Angels, including Archangel Michael, Archangel Gabriel, and Archangel Raphael.